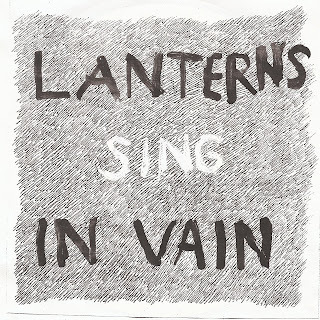 In Vain is the inaugural Deep Madder release (but 3rd release from Lanterns). It is ten songs that are mostly about trying to get closer to you through song but failing and how difficult communication is. It was released in early 2007 and has been the most widely distributed Lanterns release thus far. You may remember it from such strategically placed locations as the streets of Toronto or the university hot spots in North Bay. Own a piece of history.